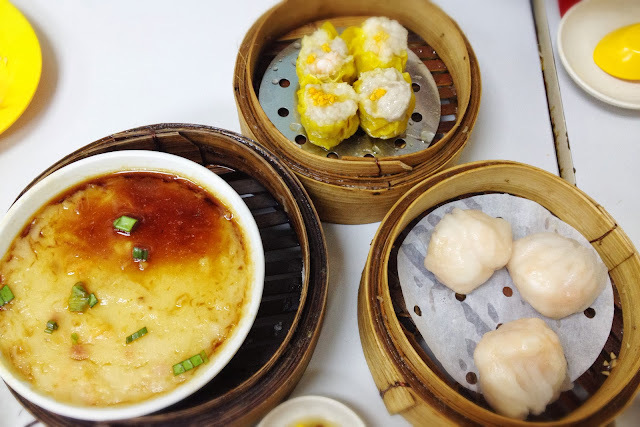 The hype of dim sum in Singapore has been rejuvenated by the occurrence of new dim sum giant, Tim Ho Wan, from Hong Kong. In the mean time, there are still local stalls from long ago that maintained the same popularity. Victor's Kitchen might be a gem hidden in Sunshine Plaza at Bencoolen St, at least not so much hidden from dim sum fans and old timers. My friends and I went to Victor's Kitchen on a Saturday afternoon for our dim sum fix. It was around 2pm when we arrived, and a line outside the restaurant was still prominent, even though not that bad. There were three parties ahead of us, and we waited for about 15 minutes for our table. The restaurant was busy, small, and packed. Tables and chairs were so closely placed that you had to share a long table with other parties. You're less likely to sit comfortable due to the occassional back to back bump with the person at the table behind. Small sheet of papers with menu choices were available on the table. Menu choices were not much. Tick whatever you like and place your order at the cashier. We ordered the house famous Steamed XO Carrot Cake ($4.50), Siew Mai (steamed pork dumpling) ($4.50), Victor's King Prawn Dumpling / Har Kaw ($5), Steamed Shrimp & Spinach Dumpling ($4), and Deep Fried Shrimp Dumpling ($5). The Steamed XO Carrot Cake was clearly the star of the meal. It was moist, soft, yet refreshing as compared to its traditional fried counterpart. The XO sauce and topping provided a unique taste and spice to the dish. My second favorite dish would be the Har Kaw. Nothing too special about this but the skin was thin and the shrimp was fresh. The Fried Shrimp Dumpling was crunchy on the outside, and when you bite into the shrimp, it was crunchy and succelent. Another must order dish. 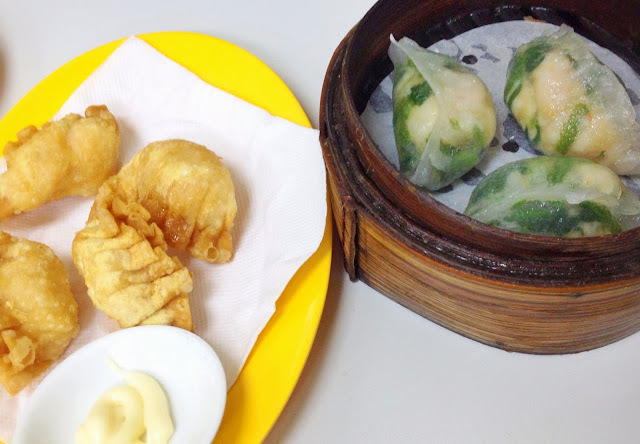 The Siew Mai and The Steamed Shrimp & Spinach Dumpling were probably the least memorable dishes. Not that they weren't nice. 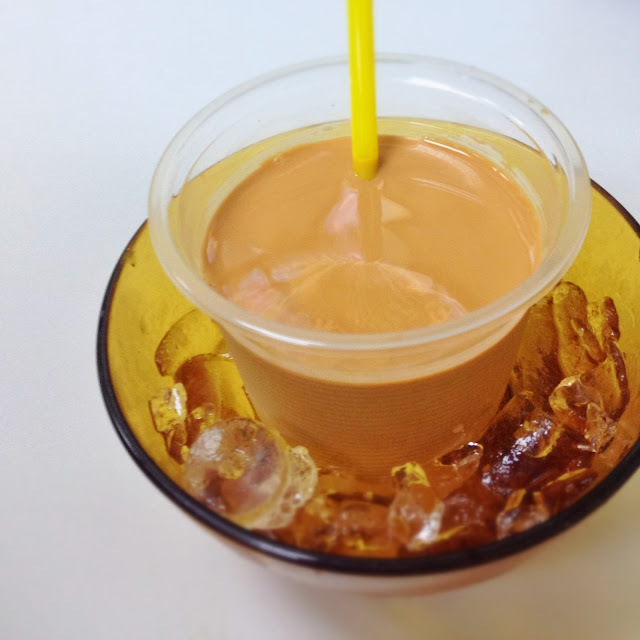 For drinks, I ordered the Hong Kong Summer Ying Yang Milk Tea ($3.50). It was served atop a bowl of ice - creative presentation to keep the tea chilled without getting diluted - smart! The tea was traditionally HK style and not too milky, which suits my palate well. Overall, my friends and I thought our experience at Victor's Kitchen was good. The food was good, although the comfort wasn't really up par. We'll definitely come back, but we'll watch out for our wallet as prices are slightly on the higher end.